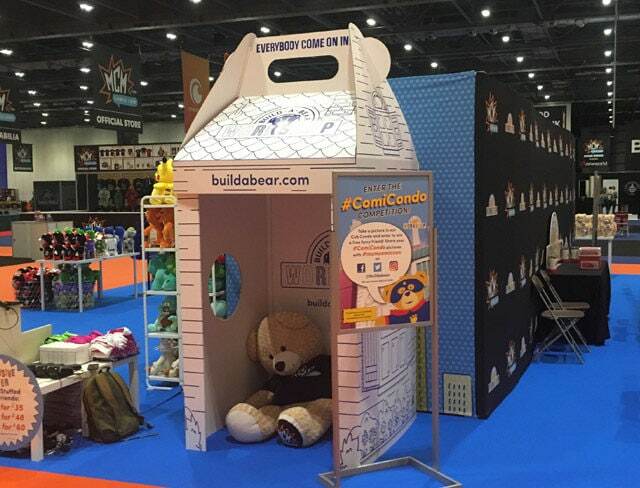 Keenpac were very excited to showcase their latest product innovation – a life-sized recreation of the iconic Build-A-Bear workshop cub condo. The piece pictured above was created for MCM Comic Con in London. Throughout the Comic Con weekend, the life-sized cub condo was a huge hit, appealing to both big kids and children of all ages.